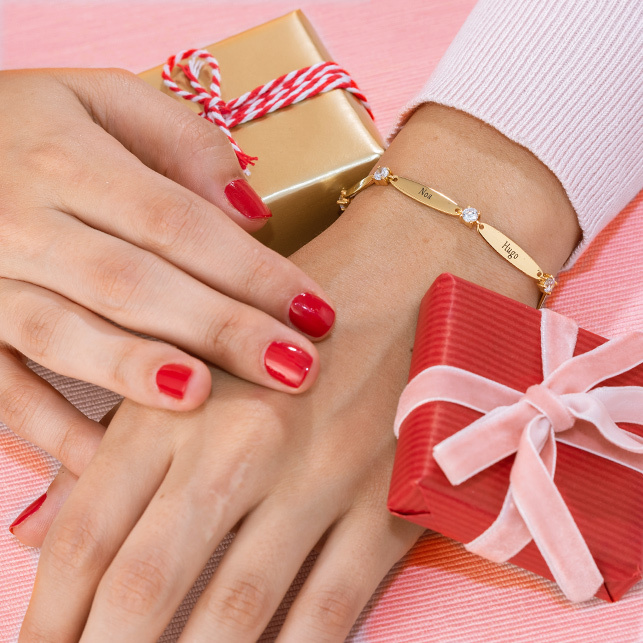 The holiday season just seems to shout caring, closeness, and love, and jewellery is always a popular gift choice. 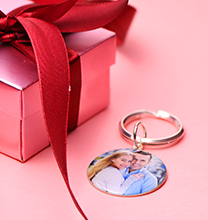 If you’re looking for heart shaped jewellery gifts for Christmas, such as engraved floating lockets, you’ve come to the right place! Here are our top picks for heart shaped jewellery for the holidays -- and anytime! The Engraved Two Heart Necklace is a charming piece that says I love you as well as Merry Christmas. A great heart necklace for couples, the entwined hearts couldn’t be closer. Featuring two hearts in .925 sterling silver on a rollo chain, the necklace enables true expression where the meaning of intertwined hearts – and great love – will be clear to all who see it. 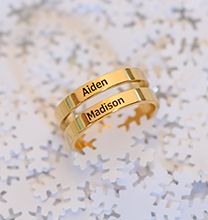 Each of the hearts can be customised with engraved names and birthstones. There is no better way to tell your love how much they mean to you. 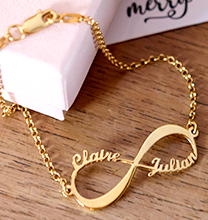 Showing the delicacy of great love, this Heart Infinity Name Necklace can be personalised with the engraving of two names. Crafted from .925 sterling silver, the hearts fall from a box chain, which is available in several chain lengths. If you love the look of the Broken heart necklace, you will like this as well! If there is a mum or grandmother on your Christmas list, this is a great choice for her. 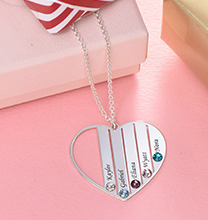 The .925 Sterling Silver Heart in Heart Birthstone Necklace for Mums is a stunning heart-shaped necklace studded with up to seven birthstones, and the same number of names can be engraved along the hearts as well. It’s an attractive take on birthstone jewellery for mothers. What a great way to keep the kids (or grandchildren) near her heart! Another place to find a special heart look for the holidays is the modern Custom Heartbeat Necklace - Next Generation Collection. A silver rollo chain holds the name pendant that is fashionable and trendy, with a lovely heart front and center. The unique look is sure to be a name necklace favourite. 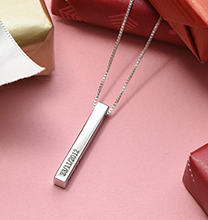 Choose your sweetheart’s name or any word, this personalised necklace will be a gift treasured for years! If you have your heart set on a heart ring, the heart shaped birthstone ring is a gorgeous treat for the eyes and hand, and studded with up to two stones. Perfect for mums as well as friends or sweethearts, you can customise this unique silver ring with birthdstone of your choice. A perfect Christmas gift for that someone special.